We all have good days and bad days. Retirement is no different, except with all of that time on your hands, the bad days really hurt. Good Day: Your adult child called just to say "I love you." bail him out of jail. Good Day: Your adult children are all home for Christmas. week's stay for you at the Rose of Sharon Retirement Home. Good Day: You found a volunteer opportunity. Bad Day: It involves adult diapers. Good Day: You've been to the gym and are feeling a bit slimmer. Bad Day: Lane Bryant called. You left your purchase on the counter. Bad Day: HUGE fight with Hubby over the lights. Good Day: You have three darling dogs whose cavorting amuses you. This is what a pack of dogs looks like. What constitutes a good or a bad day for you? Well, sometimes we can't control how the day is going to go. But here is something you can count on. The true story of an Irish woman, who as a young girl became pregnant, gave birth in a convent and was forced to give up her son. Fifty years later, with the help of a disgraced journalist, she goes in search of him. 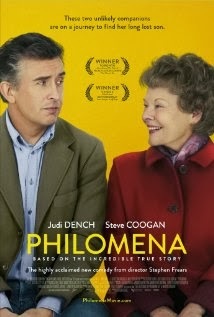 Steve Coogan is not that well-known in the U.S. but is a huge star in the UK, known mostly for his comedic work. Here he wrote the screenplay (based on a true story) and plays it mostly straight. But this is Dame Judy's show. Supposedly Dame Judy's eyesight is failing and she has to have her scripts read to her. Whatever is going on with her eyes, it doesn't affect what she can do with them to rip at your heart strings. If you can keep from crying, especially if you are a mother, you have it over me. Have your hankies handy. Loved it! Rosy the Reviewer says...Ring! Ring! Dame Judy. Oscar calling. And some you will be glad you did! Dennis is out on parole and bands together with old friend Rene to sell Christmas trees so he can buy his estranged daughter a piano. 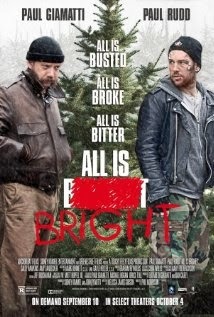 A small film that didn't have much impact on me, probably because I am not a big Paul Giamatti fan. Hubby liked it better than I did. Rosy the Reviewer says...I give it just a couple of Christmas trees. A college girl turns to prostitution and things don't go well. A low-budget Thora Birch vehicle (remember her from American Beauty?") that is all very frozen and dreamy and a step way down for Birch from "American Beauty." It proves once again, I must not put films in my DVD queue based on a preview. Repeat after me. "I must not put films in my DVD queue based on a preview." Rosy the Reviewer says...I usually like films about the underbelly of life but as Charles Barkley used to say, this one is "Turible, Turible, Turible." Marilyn (Sienna Miller) loses her job and comes home to a cheating husband so decides to hit the road and enter a belly dancing contest in Santa Fe. She is joined by her friend, Mona, who has a secret. And for every woman who thinks her mother-in-law is a dragon, get a load of this one. I couldn't help but wonder how Sienna Miller avoided becoming a big star like Julia Roberts. She has the looks and the acting chops. I also couldn't help but remember that her then boyfriend Jude Law cheated on her with the babysitter. Jude, you idiot! Rosy the Reviewer says...a fun diversion especially if you like belly dancing. 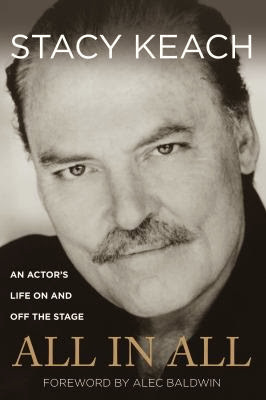 This acting memoir begins with Keach's arrest for cocaine possession and then backtracks to his early life and career. Though Keach has had acting success in films such as "Fat City" and "American History X" and as Mike Hammer in the TV series of the same name, he never attained superstardom. He clearly preferred the stage and dreamed of being the next Olivier. He is candid about his drug addiction, which could perhaps explain why his career didn't reach the heights but the book is surprisingly dry. Rosy the Reviewer says...fans of Keach might enjoy this, but acting students should take note. He has a whole chapter on acting techniques at the end of the book. Hooray, hooray. "Come Dine With Me" has come to the U.S! Come Dine With Me is a British competition TV program where 4 or 5 strangers get together at each other's houses to cook each other a full meal - appetizer, main course and dessert. After the meal, the visitors rate the meal on a scale of 1-10. 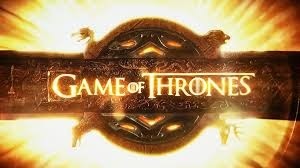 Naturally the groups of people are disparate and often over the top, lots of alcohol is consumed and sometimes there are costumes which is all part of the fun, and the voice over commentary by Dave Lamb is hilarious. Now Lifetime is offering its version, which if the first episode is any indication is a Canadian import. It mirrors the British version down to the theme music, but I miss Dave Lamb's commentary. Also the British version is usually 30 minute segments over five nights and here we have all five nights wrapped into one hour. One thing on the positive side, it moves quickly. On the negative side, there is not as much coverage of the actual cooking as we see in the British version. Rosy the Reviewer says...Foodies and fans of humorous reality TV will love this! 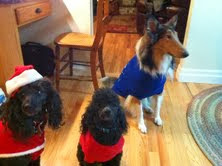 The dogs look so cute in their sweaters! Hope today is a GOOD day for you.